It’s March, and the Shadick residence is reasonably quiet. The duck ponds and aviary in the backyard are empty, but bird sounds play constantly in the basement to keep a small group of songbirds company, and a muskrat has found a comfortable hiding place in a large cupboard. When Jan started caring for injured or abandoned wild animals, there were only a handful every season, but the numbers have steadily increased. She took in 20 animals in 2005, 142 in 2009, and 152 in 2010. The numbers jumped – dramatically – to 222 in 2011, with an average of 75 animals at any one time. 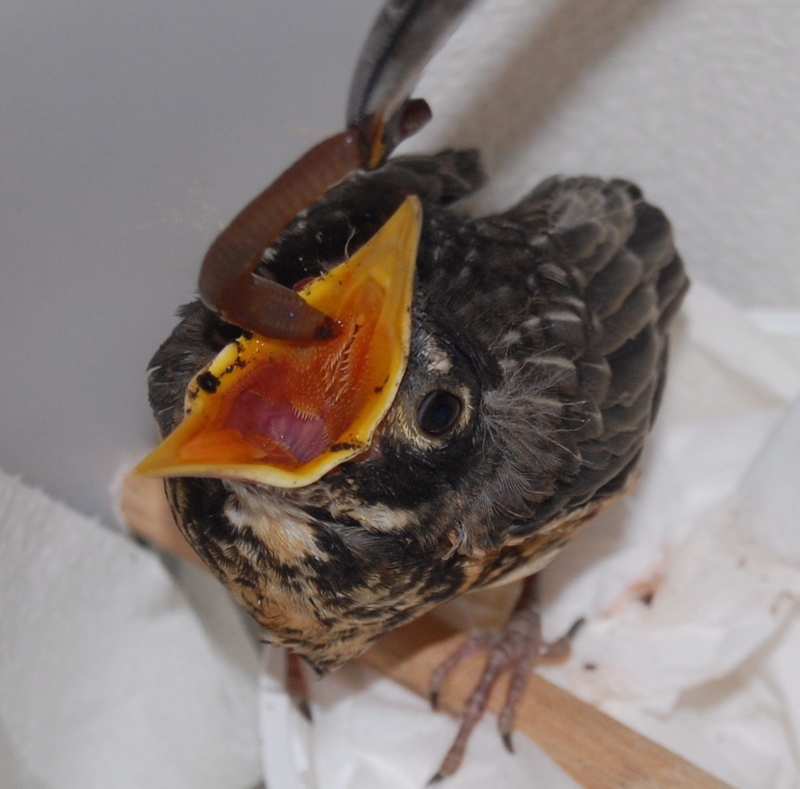 People who find an injured animal are often tempted to take it in and nurse it back to health. But, unless you have specialized training, you can easily do more harm than good. First and foremost are the health and safety concerns. Wild animals often have mange or other diseases, which can be passed on to humans. A rabies shot is a necessity. Secondly, you have to be extremely knowledgeable and prepared to do extensive research. Each animal has different requirements. Porcupines are released in the fall, but raccoons normally over winter with their parents, so they need to be released in the spring. Wildlife rehabilitation experts (rehabbers) rely on years of training and research to do their job professionally. Jan Shadick grew up in a household full of animals, but it wasn’t until she moved to Connecticut that she began her apprenticeship alongside an experienced rehabber. She had to study and pass a test before she was licensed to rehabilitate small animals and songbirds in the state of Connecticut. After moving to Saskatoon, Jan obtained a provincial permit to rehabilitate wild animals and a federal permit to rehabilitate migratory songbirds. Jan is the only person in the province who is qualified to rehabilitate songbirds, and the province has only a small number of qualified rehabbers: Mark in Meadow Lake works with bears; a woman in Creighton rehabilitates aquatic mammals (beavers, otters); and another woman in Moose Mountain cares for predators and deer. A Saskatoon woman has expertise working with bats. Wildlife rehabilitation isn’t a solitary operation. It requires the help and support of a large network. Jan founded the Living Sky Wildlife Rehabilitation Inc. in response to the increasing number of animals coming into care and the need to create a larger organizational body. As a federal charitable organization, Living Sky is in a position to raise funds through grants and donations. Last summer’s rehabilitation activities cost approximately $12,000. Only $3,000 came from grants; the rest was individual donations. Jan, as an independent wildlife rehabilitator, volunteers her services to Living Sky. Jan has also been instrumental in reactivating the Wildlife Rehabilitation Society of Saskatchewan (WRSOS). The provincial body organizes training events and is responsible for the provincial hotline (306.242.7177). The number of calls to the hotline has grown exponentially and is proving to be an extremely valuable service. Hotline volunteers are trained to triage the calls that they receive regarding injured or abandoned animals and to carry out an initial assessment. Jan expects the number of animals requiring care to continue to increase and believes that they are only a couple of years away from needing an external site. Jan says that injured birds could all be kept in one large facility, but it would still be helpful to separate the songbirds from the crows and other birds of prey. Rehabbers must carefully balance the need for nurture and teaching social skills to mammals (particularly singlets) with the risk of habituation. In the wild, mammals are normally cared for by one parent, so Jan limits their care to one or at most two people. A large facility, where the mammals are cared for by five or six different people, increases the risk that the animals will become socialized or habituated to humans. 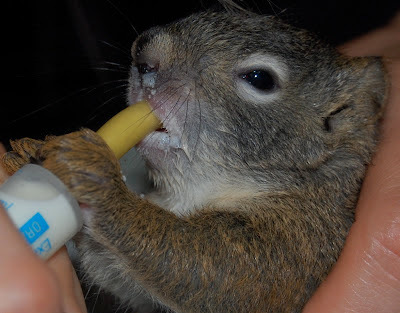 But wildlife rehabilitation is also extremely challenging. Baby ducks start out in a large aquarium with a heat lamp and a feather boa ‘mother’ and go swimming three times a day. As they grow bigger, they are moved to a pond in the backyard. There’s a lot of preparation before animals can be released into the wild. A baby nighthawk can learn to hunt insects around a trouble light in the backyard, while Jan hides the mammals’ food, forcing them to search for their meal. Jan suggests that people volunteer to help an experienced rehabber in order to get their toes in the water and see what it’s all about. If it feels like a good fit, the WRSOS sponsors annual training programs put on by the International Wildlife Rehabilitation Council. “Volunteers shouldn’t try to do everything,” Jan says. “You can avoid burnout by working with only one species or only caring for birds for one month of the year.” Jan relies on a volunteer living on an acreage outside of town to overwinter raccoons in a large pen. There are many ways in which people can help Living Sky and the Wildlife Rehabilitation Society of Saskatchewan. Consider becoming a volunteer, foster a critter, donate money or supplies. And don’t hesitate to call the hotline if you find an injured animal - 306.242.7177.